Arundhati Roy is a world-renowned Indian author and global justice activist. 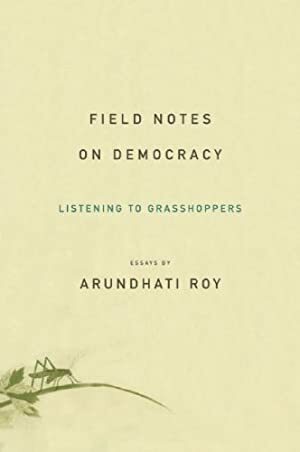 From her celebrated Booker Prize-winning novel The God of Small Things to her prolific output of writing on topics ranging from climate change to war, the perils of free-market development in India, and the defense of the poor, Roy's voice has become indispensable to millions seeking a better world. Track It. This book has been $8.49 within the past year. Log In to track Arundhati Roy on eReaderIQ. to be notified each time the price drops on any book by Arundhati Roy. to stop tracking Arundhati Roy. We started tracking this book on March 9, 2011. The price of this book has changed 149 times in the past 2,967 days. The current price of this book is $9.65 last checked 4 hours ago. This lowest price this book has been offered at in the past six months is $9.12. This lowest price this book has been offered at in the past year is $8.49. The lowest price to date was $3.99 last reached on December 8, 2013. The highest price to date was $11.99 last reached on June 1, 2016. We last verified the price of this book about 4 hours ago. At that time, the price was $9.65. This price is subject to change. The price displayed on the Amazon.com website at the time of purchase is the price you will pay for this book. Please confirm the price before making any purchases.